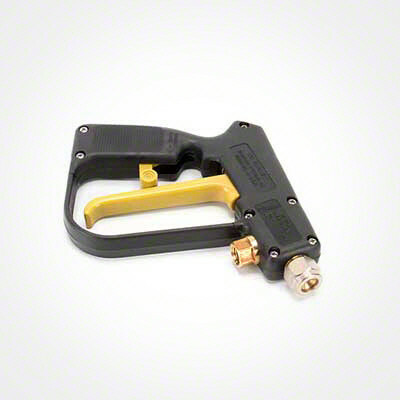 The TeeJet 5 GPM Gun Jet Without Extension is constructed Teflon valve seats and stainless steel working parts in order to increase overall efficiency and life span. 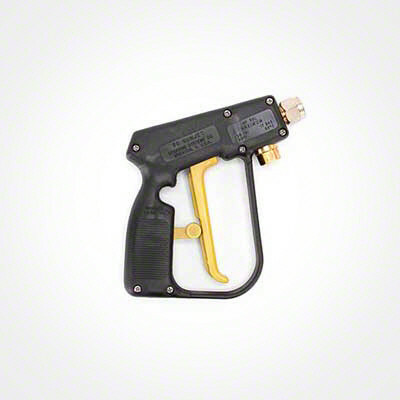 This spray gun is available in 250 P.S.I. and 1,500 P.S.I. models. 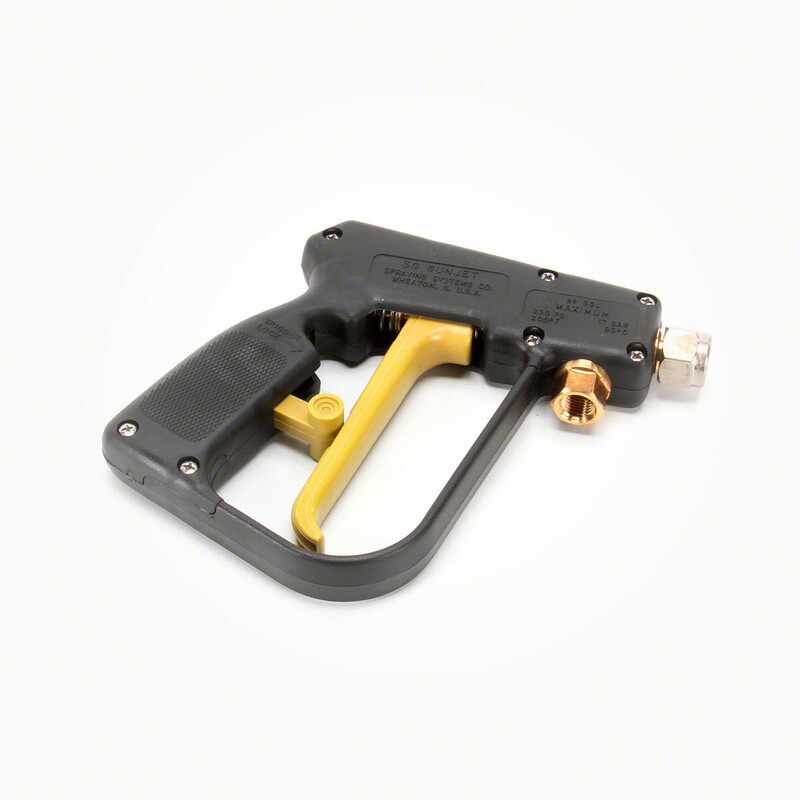 Maximum pressure rating of 1,500 psi (105 bar) with 5 gpm (19 l/min). Liquid temperatures up to 200°F (93°C). Nylon handles and trigger guards, forged brass valve bodies, Buna-N or Viton stem seals, Teflon valve seats and stainless steel working parts mean long, productive equipment life.